Hear what the EBow can do in the following demonstration. Complete Animated EBow Lesson on YouTube here. *NEW* EBow users group here. YouTube videos featuring EBow here. To translate this site go here. What does the EBow sound like? We run it through its paces and offer sound bites from familiar artists. A list of artists and their EBow recordings. Many link to sound clips or YouTube videos. Browse through these artist pictures to launch their information box. The quickest way to navigate to the artist of your choice. If it's written, it must be true. Is that an EBow she's using? A plethora of YouTube videos each featuring an appearance by our dear old EBow. See it used on bass, acoustic guitar, snare drum, even a toaster oven. Once a video has opened you can use your arrow keys to step through other videos on the page. Occasionally videos will indicate "Embedding disabled by request". To view these, click on the screen to open a separate YouTube window. Learn to play the EBow by studying these videos featuring Lenny Walker demonstrating various techniques. Also in this section are demonstrations by users posted on YouTube. As on our YouTube page, once a video has opened you can use your keyboard arrow keys to step through the other videos on the page. Online instructions. Also available as a PDF on this page. Interesting EBow articles on the web. 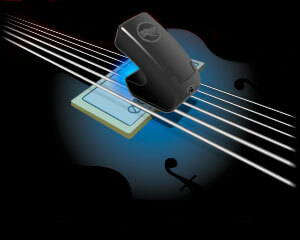 Blog mentions, reviews, EBow on bass. Outside tutorials, searches, related products and links. Who's to blame for this website. Merriment; gaiety accompanied with laughter (we hope). The shop, the people, the art. See who's using the EBow. Pictures sent to us by users. Answers to your general questions about the EBow. Can I use the EBow on my cat? A primer for navigating the EBow website. 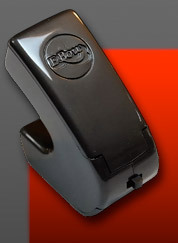 If you know of other groups, songs or YouTube videos that feature EBow, let us know. If you notice errors or broken links, we would like to hear about them. We may not respond but we do read your comments.